How to Talk So Kids Will Listen & Listen So Kids Will Talk (1996) is a practical, clear guide that helps parents improve communication with their children. 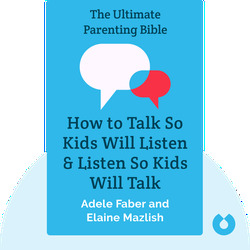 Faber and Mazlish present realistic scenarios that can have parents tearing their hair out in frustration, and then provide precise tactics for not just coping, but turning around the situation and creating more harmonious parent–child interactions. 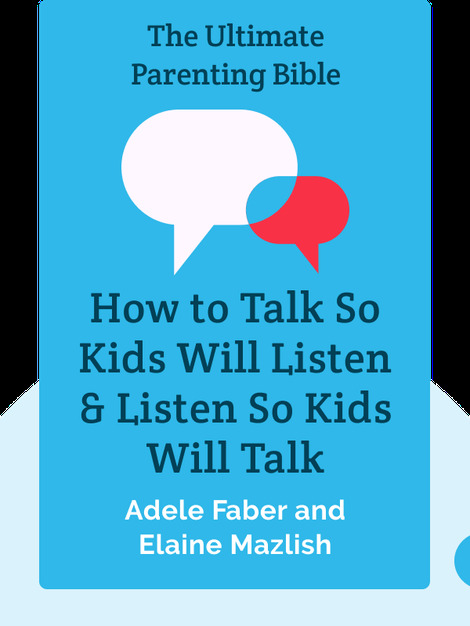 Adele Faber and Elaine Mazlish are internationally recognized experts on communication between adults and children. Having sold over three million copies of their books How to Talk So Kids Will Listen & Listen So Kids Will Talk and Siblings Without Rivalry, they have given talks internationally and appeared on renowned TV shows such as Oprah and Good Morning America.